Funny Fur River Oaks, Houston – The Only Dog Boutique Store Your Pampered Pet Will Ever Need! Funny Fur is premier urban pet supplies store located in the gorgeous River Oaks neighborhood of Houston, TX. We’re the one-stop shop for your pampered pup; A dog boutique offering stylish dog apparel and pet accessories, premium pet foods, treats, and supplies, among a plethora of other dog accessories and goodies for your fur baby. We only offer the most stylish, functional, and environmentally friendly dog boutique products for urban pet living and lifestyle.In 2006, we had this idea: Let’s start an online web store and fill it with only the best dog boutique products we can find. Seemed like a pretty great idea, so we did it. We scoured the world for high quality, stylish, and unique dog boutique products. Not long after, we grew to have over 2,000 dog and puppy boutique products from all over the globe, offering them at competitive prices that rival all other pet boutiques.As our collection grew, so too did our reputation. We gained national and international press with features in magazines, TV, and film for our dog boutique and puppy boutique products. Most notably, we had the pleasure of working with the costume team for Disney's box office hit, "Beverly Hills Chihuahua," supplying clothes for the film’s canine cast. We regularly contribute to local animal rescues and other non-profit organizations dedicated to the wellness of animals. We love our community and are committed to making a difference in the lives of our friends and neighbors—as well as our furry friends, of course! We host year-round store events and specials, both online and at our dog and puppy boutique store, with you and your pet’s needs in mind. 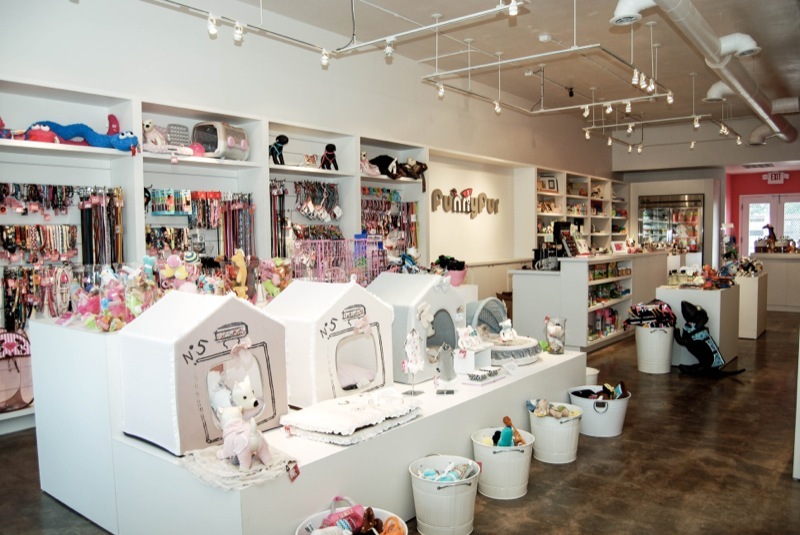 From charity parties to adoption days, our pet boutique store fills with pet lovers. 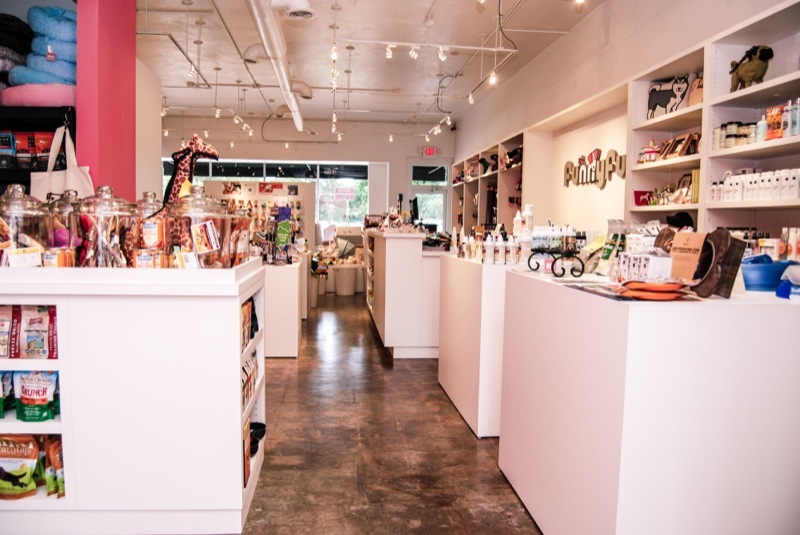 Our regular holiday sales also keep you supplied with all the dog and puppy boutique products you need for a comfortable life with your pet.So if you and your pet are ever in the River Oaks area in Houston, Texas, come say hi! We’d love for you to sit and stay for a while at our boutique pet shop. And like us on Facebook to stay up to date with all in-store happenings and gatherings! Click here to join our news mailing list for the latest on new product arrivals, special offers & coupons, and store events. Stop by for treats and 15% off all toys in-store! Join us for some tasty fun! Starting at 1PM, join us for a sampling party. Whether you're looking for a new food or not, feel free to pop by! Bring your pups in and have them search the store for eggs filled with treats and a special coupon inside for you. Freshen up your pup's Spring Look. 15% off all grooming. Join us for puppy ice cream and drinks! Enjoy 15% off your purchases during the event. Please check the store Facebook page at www.facebook.com/funnyfurriveroaks for in-store events and special offers. NOTE: Please do not ship any online order returns to this address. For returns, click here. Address and phone below are for River Oaks store location. For online orders, please contact us at (713) 690-0690 or via email at customerservice@funnyfur.com.